Envelopes are not dead. In fact, this paper-based product continues to serve a multitude of purposes for small businesses in a variety of sectors. Take some time to look over these 10 special types of envelopes that can prove most useful to your small business. As the most commonly used type of envelope in existence today, commercial envelopes are still an effective way of conducting business today. The most popular of this genre is the #10 regular. In addition, there are sizes ranging from #5 at the small end, to #14 at the large end. These types of envelopes are designed with either a deep and pointed flap at the end with a diagonal seam, or with square flaps that have two seams at the side. Small businesses can use these as a baronial card, for informal mailings, or to make a social or commercial announcement. Sending out a catalog without an envelope can be impersonal. In addition, the catalog itself can become easily damaged in the shipping process. 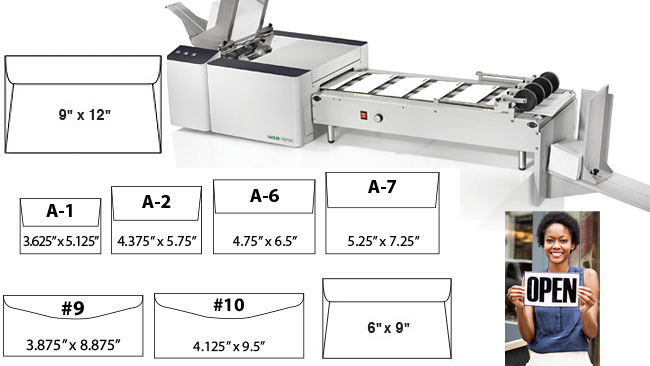 This can be avoided with a custom made enveloped designed specifically for catalogs. You will gain the added benefit of being able to market yourself twice with this type of envelope. Booklet envelopes are commonly developed with a flap that is heavily gummed, or with some type of quick seal process. This enables your own booklets to be securely stored within in order to minimize damage when being shipped. When people donate money, they often want it to be properly recorded. Collection envelopes allow you to be able to do this in a transparent and secure fashion. These can be reordered quite easily and branded with the charitable organization’s contact information and logo. As a small business, you may rely heavily on the sending of goods to your customers. If you need to keep a record of what is in each shipment, customized packing lists are the way to go. These types of pocket envelopes can be easily fastened to any box that is being shipped out. Coins can be easily misplaced, which is obviously not something you want to happen. Coin envelopes are the way to go. Not only are they handy for marketing your business, they provide a most useful function at the same time. Successful businesses build a complete image and brand. This filters right down to the card stock and types of envelopes that are incorporated into its operating structure. Not every memorandum should be sent electronically. There is still a need for the inter-office memo, and there are specialty envelopes that have been developed for just such a purpose. The compact disc is alive and well. Many businesses have photos or important documents that can be placed on a CD and mailed to customers or important clients. In order to provide safe and secure transport, CD mailers are an effective type of envelope.